Mark Breen is the Senior Meteorologist at the Fairbanks Museum and Planetarium, and for over 30 years he has been the morning voice of weather on several local radio stations, as well as Vermont Public Radio's an "Eye on the Sky." He is also the author of the award-winning children's book, "The Kid's Book of Weather Forecasting." Along with weather forecasting for radio and newspapers, his work at the Museum involves teaching weather and science, as well as serving as the Planetarium Director for the Lyman Spitzer, Jr. Planetarium, Vermont's only public planetarium. 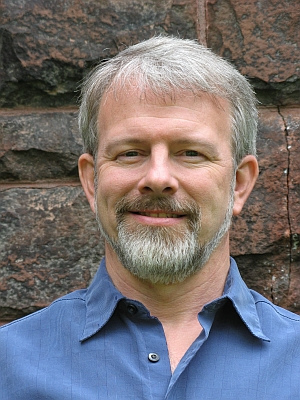 Mark Isselhardt's research interests include the dynamics of nonstructural carbohydrate in sugar maple (Acer saccharum Marsh. ), how modern production methods impact flavor and chemistry of maple syrup improving the efficiency of sap collection equipment. 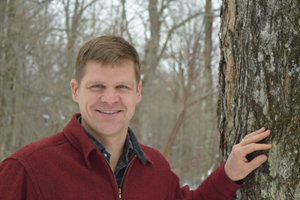 As a research associate at the Proctor Maple Research Center Mark's duties include the design and execution of experiments related to the practice of maple syrup production. He is also involved with experiments related to white birch (Betula papyrifera Marsh.) syrup production. 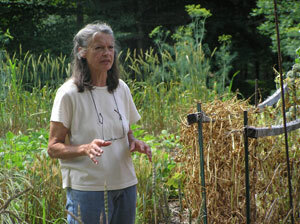 Sylvia has been gardening organically for over 25 years. About 20 years ago she began to notice a decline in the number of varieties available through commercial seed catalogues, and this alarming situation inspired her to begin seed saving. Her interests focus on preserving rare varieties, selecting and adapting regionally appropriate crops to support a local, year-round food system, in working on season-extending crops, trialing a range of varieties for their ability to thrive in the Northeast, and increasing the range of staple foods, such as grains, grown in the Upper Valley. Sylvia is a member of the Seed Savers Exchange (SSE) in Decorah, Iowa and a member of the Swiss seed savers organization ProSpecieRara. Sylvia offers over 140 varieties of open-pollinated seed to fellow SSE members through their annual yearbook, and an additional 50 or so varieties are maintained in her garden for personal use and trialing. Alan joined UNH Cooperative Extension in 1978 as the statewide coordinator of IPM programs. His job has changed over the years. The role of fruit entomologist was added in 1980. He initiated work with organic farmers at about the same time. His work on vertebrate pests (birds, voles, woodchucks etc.) began in 1981. His first graduate student completed his thesis in 1982. 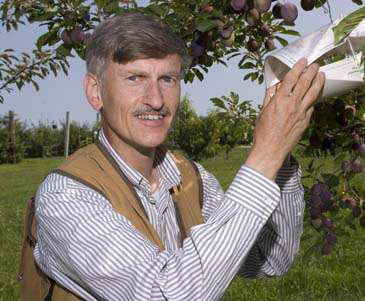 Alan began teaching a course called Integrated Pest Management with Bill MacHardy in 1986. That course has been modified and is called PBIO 760, Insect Pest Management. With elimination of the Entomology Department in 1995, he joined the Plant Biology Department. With re-organization of COLSA, he joined the Department of Biological Sciences.